It's a disco themed event, so I was hoping for something like Wayland Flowers / Madam (that style), which was popular in the 1970's. Walking around the crowd during the cocktail hour, entertaining. Not necessarily... maybe retirement humor, kid jokes etc. Day Care provider for over 40 years ... saying good bye to students, former students and families at a home retirement party. Who do you think you’re callin’ a dummy? Oh… you’re just looking to hire a ventriloquist and their dummies for your next event? What a good choice! You’ll be amazed at how these ventriloquists can manipulate their voices without even moving their mouth! And they are a perfect entertainment choice for basically any type of event. Kiddos will love a family friendly and even educational ventriloquist for their next birthday party, and you and your friends can enjoy a ventriloquist with more adult comedy at your next private or corporate event. Search for Ventriloquists in San Diego, California above. 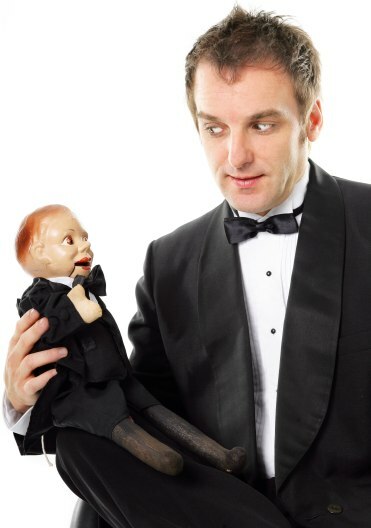 Please note that these Ventriloquists may also travel to Coronado, Lincoln Acres, Lemon Grove, Bonita, Spring Valley, Imperial Beach, La Jolla, San Ysidro, Lakeside, Del Mar, Jamul, Fairbanks Ranch, and Solana Beach.